The Circle Bar Ranch owner Jerry Bob Daniel has been developing a unique Quail Hunting program over the last 25 years. Jerry Bob is a lifelong Cowboy and West Texas rancher that has always had a unique passion for Quail hunting and native wildlife conservation efforts. For many years, quail hunting was only done on this ranch with him and a few close friends. Over the years, Jerry Bob has taken a holistic view on wildlife conservation efforts here in the Rolling Plains of North West Texas. He manages his land to achieve a strong and healthy balance between Quail, Turkeys, Deer and other native game species success. While always careful to not over graze a field with cattle, a preferred method of his conservation efforts is Brush Sculpting. Not to be confused with grubbing, where land is stripped of mesquite trees and over growth to later establish agricultural farming. Brush Sculpting allows for wildlife to have different zones of habitat within a given field. An example of this would be an area for the Quail to nest in for safety and security, forage or eat, and an escape area of protection from various predators. Therefore, a conservation area in a given field is broken down into different zones of habitat. In short, a holistic approach to wildlife management means a balanced ecosystem that helps all native game species flourish. Over the last several years, Jerry Bob Daniel and his ranching operation have worked closely with Dr. Dale Rollins and the Rolling Plains Quail Research Ranch. www.quailresearch.org With both financial and ranch resource support. Dr. Rollins is a noted academic authority on Texas Quail Habitat and Conservation. Our ranch is part of the current Scaled/Blue Quail relocation research effort. The goal of this research is to re-establish the Scaled Quail population in our Rolling Plains Region of Texas. Twenty-five years ago, Scaled Quail populations were 50% of the total quail populations over our ranch areas. Today, we primarily hunt West Texas Wild Bobwhite Quail. The 2016-2017 Quail season was the very first year that our ranch offered commercial quail hunting. The results were tremendous with average bobwhite covey sizes of 18-30 birds and average numbers of coveys flushed at 29 coveys per day. We feel confident with last year’s harvest number’s and the current hatch levels, that our program can sustain 150 hunter days for the 2017-2018 Texas North Zone Quail season. We take great pride in carefully screening for only Top Quality and Proven Hunting Guides and their Gun Dogs. We allow a minimum of 2 hunters per guide and a maximum of 3 hunters per guide. Multiple Quail Hunting guides are available for larger groups. We hunt only 100% wild quail on this ranch with .410, 28 & 20 Gauges. No 12 Gauges or larger shotguns are allowed to be used on our Ranch’s quail hunting program. 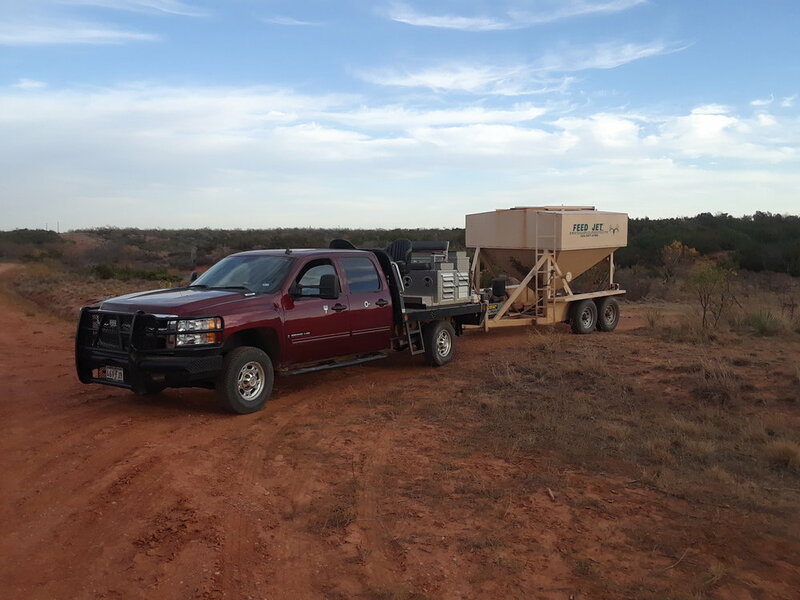 We do provide transportation for our quail hunters with our Circle Bar Ranch Custom Quail Hunting Truck and various side by side UTV’s. $1250.00 per hunter per day with lodging and meals provided. We typically provide a morning and evening hunt each day with a 15 bird per day, limit per Quail Hunter. With have a minimum of 2 hunters per guide and a maximum of 3 hunters per guide. Including a minimum booking of 2 Quail Hunting days per hunter. Multiple guides are available for larger groups upon request. A Minimum 10% Staff Gratuity Fee is charged for all hunting packages. A 3.5% Convenience Fee is charged for all Credit Card Purchases.